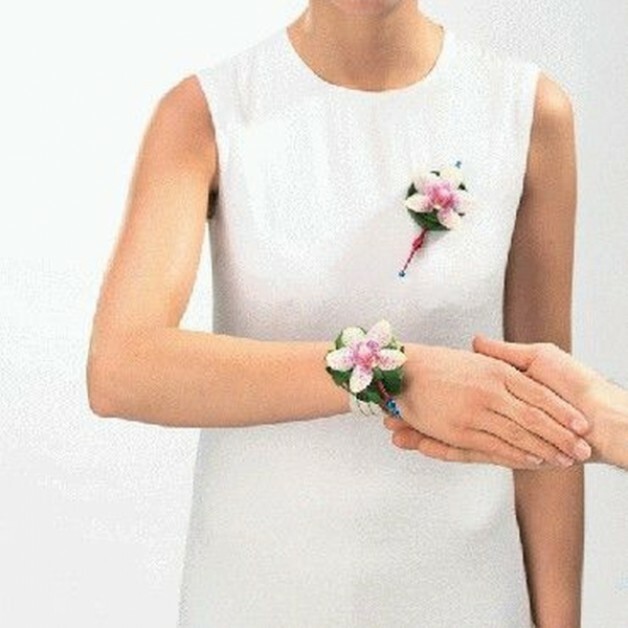 Corsage magnets are perfect to keep the corsage in place without clips. Tape one portion in / along with florist tape, the second magnet comes underneath the clothes. What is the best way to attach the magnet? 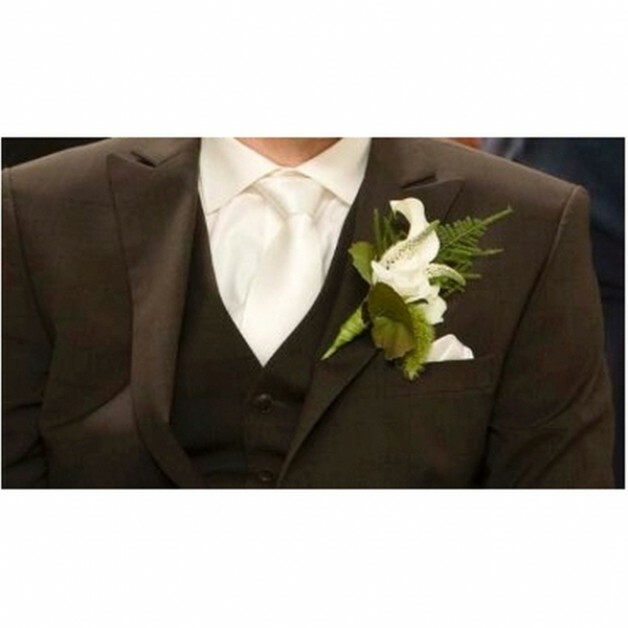 Place the magnet as high as possible at the rear of the bodice. With florist tape go once centered over the magnet. After that you have a half times overlapping the bottom. Now once again, half overlapping the top or glue using decoglue (cold glue) the magnet between two leaves. 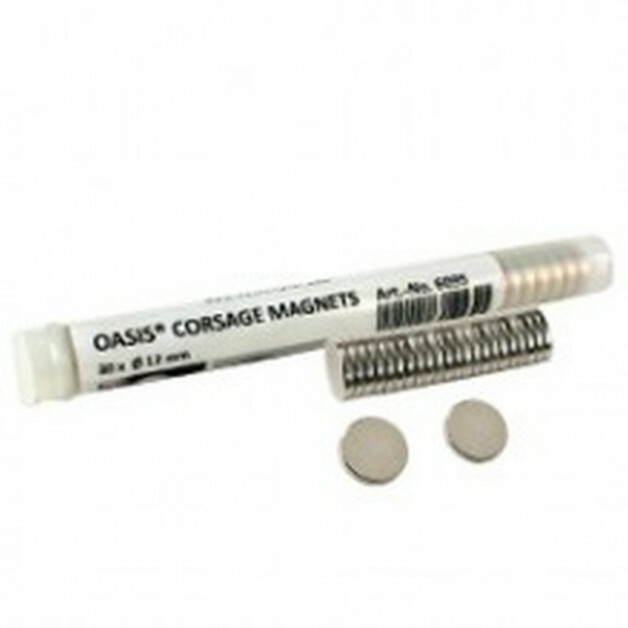 As with other magnets may be in combination with a corsage magnet not used pacemakers! 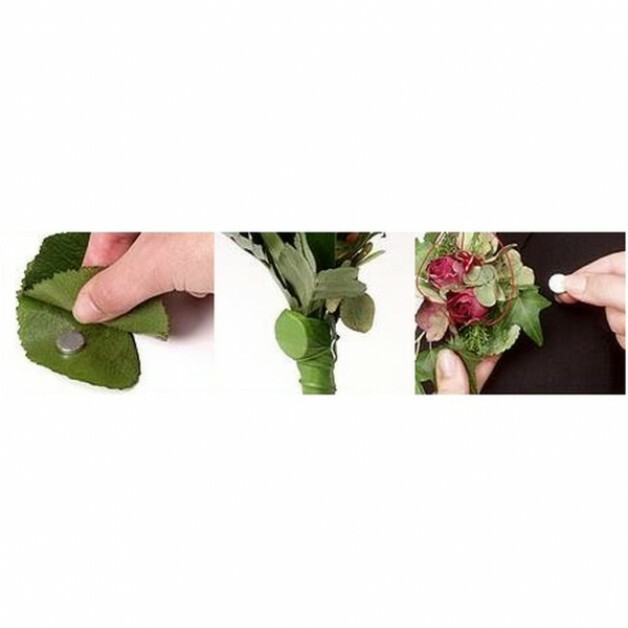 These are a set corsage magnets consisting of two pieces!